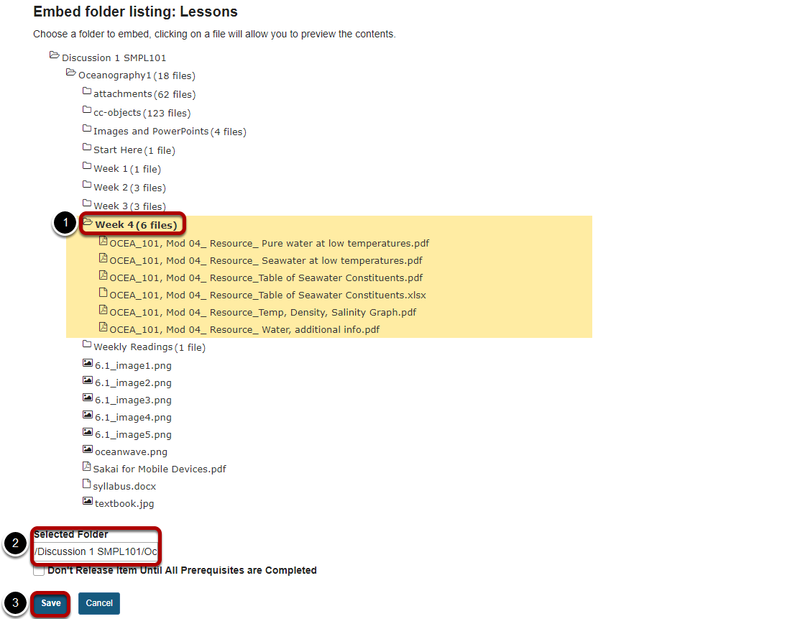 Sakai Guides and DocumentationSakai Complete User Guide LessonsHow do I add a resources folder on a Lessons page? Instructors can add a link to an existing Resources folder on a Lessons page. This will display a listing of the folder contents on the page. Click Add Content, then Add Resources Folder. Zoom: Click Add Content, then Add Resources Folder. 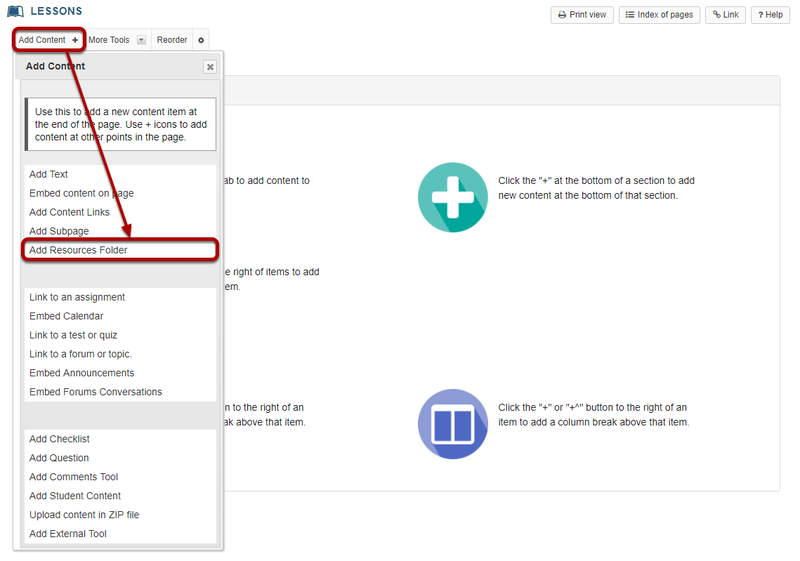 From the Add Content drop-down menu, select Add Resources Folder. Zoom: Select the Resources folder. Browse the directory listing of your existing Resources folders. Once you have located the folder you want to link on the Lessons page, click on the folder name to select it. Notice that the folder path appears in the Selected Folder field. Click Save to save your selection. The folder contents will display on the page. Prev: How do I create collapsible sections? Next: How do I embed the Calendar on a Lessons page?